In my weekly live stream shows where I cover the latest trends in technology and case studies of live streams being used by organisations and entrepreneurs, I have frequently covered how they are bing used by musicians. Back in 2016 I covered how Barry Gibb of the Bee Gees pre-launched his last album on a 360 live stream hosted on YouTube. Elton John has staken it a step further in his recent live stream, again on YouTube, announcing his retirement from touring after more than 50 years on the road. 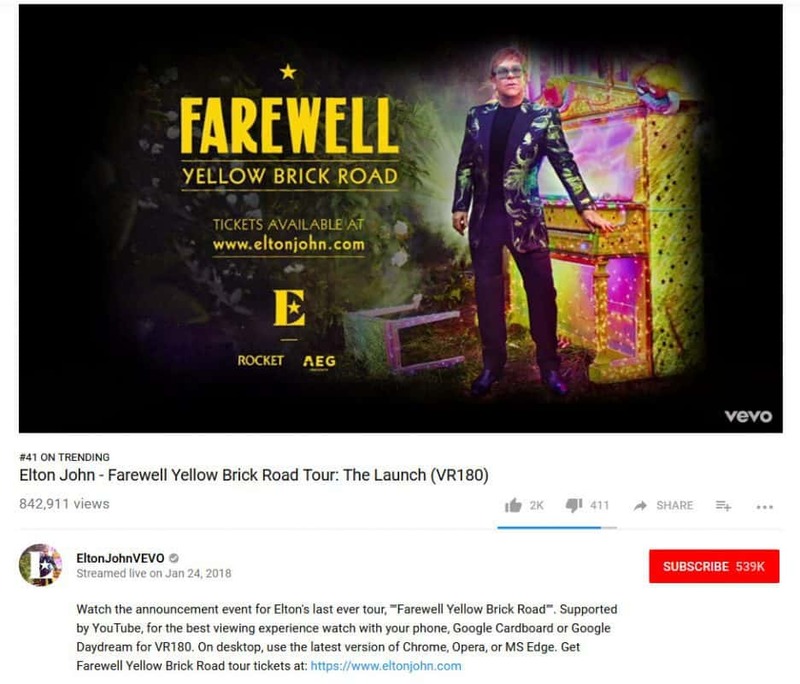 After more than half a century on the road, Elton John announced during an exclusive VR180 Live Stream on YouTube, details of his final tour called ‘Farewell Yellow Brick Road’. He hosted an event at Gotham Hall in New York City which was simultaneously transmitted to venues in Los Angeles and London. The immersive experience used latest in live-broadcast technology from YouTube and cutting-edge motion capture, to revisit some of the defining moments from his career. 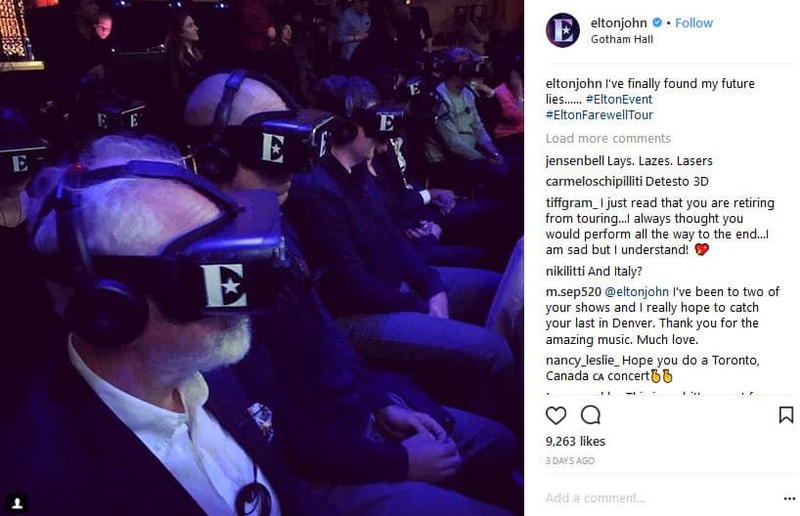 His live performance on stage was preceded by a short introduction by CNN anchorman Anderson Cooper, and then a virtual reality installation that guided the audience members through the highlights of his career. 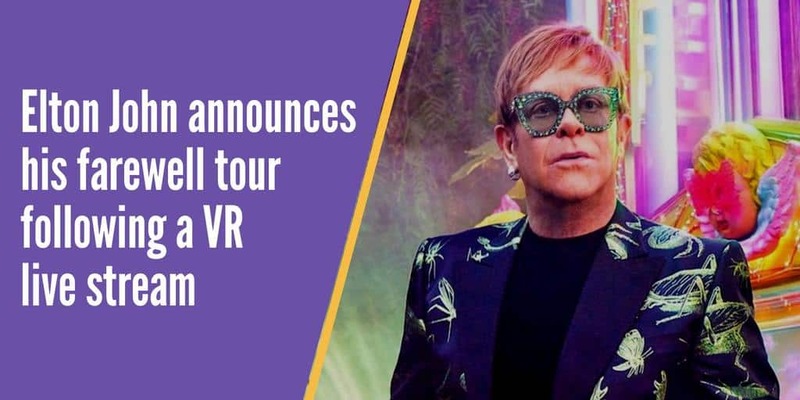 After his performance, Elton John announced the Farewell Yellow Brick Road tour which starts in in the U.S. on 8 September 2018. 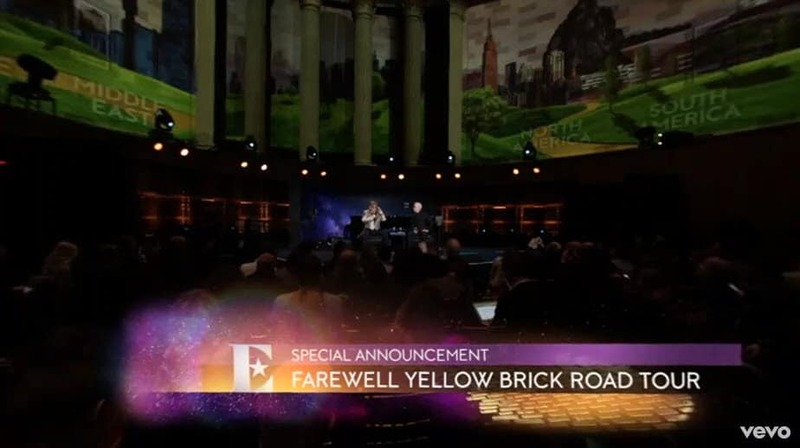 The ‘Farewell Yellow Brick Road’ tour will consist of more than 300 shows across five continents. When I stop, they will be 10 and eight and that’s a very important time in their lives. I don’t want to miss them, and I don’t want them to miss me. 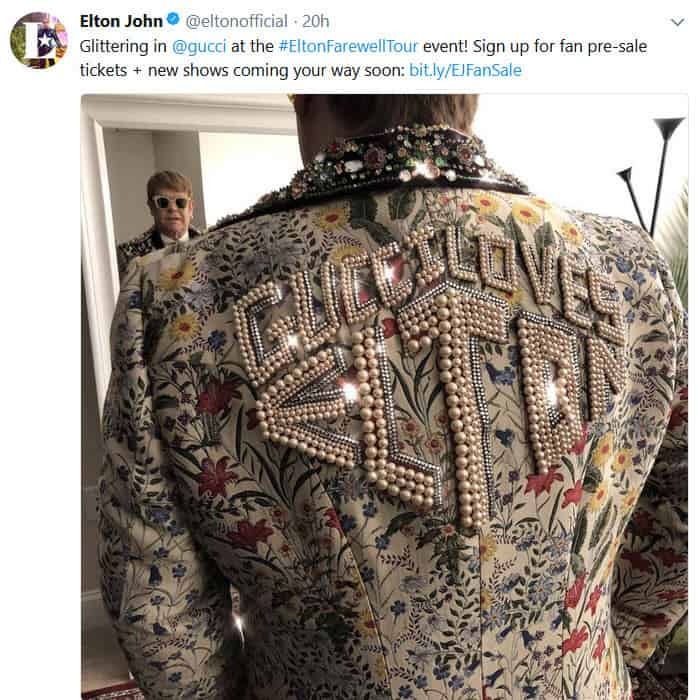 If you wonder why he wore an embellished blazer with the words “Gucci Loves Elton” engraved on the back, the brand will be designing all of the outfits for the Farewell tour. There is an interesting article about the making of the VR experience here and here, and you can see a short video about is on Twitter. You can watch the replay of the announcemnt live stream on YouTube here. What ideas has this live stream given you for how you can integrate live streaming and VR into your communications?